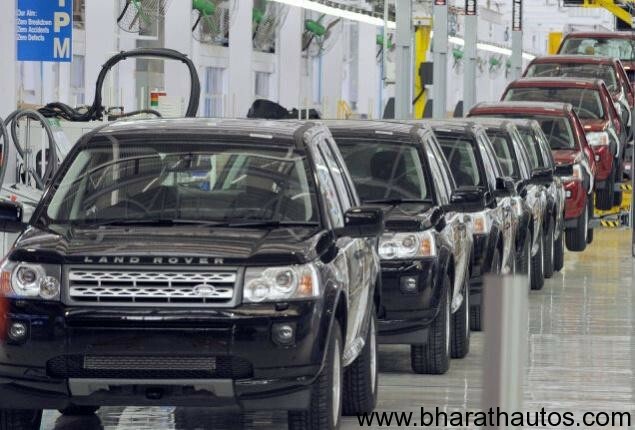 Jaguar Land Rover has announced the opening of its first assembly line in India. The production line located in Tata Motors’ Pune plant – earlier used by Mercedes – will now assemble the Freelander 2. The Freelander 2 becomes the first model to come through the Completely Knocked Down (CKD) route, thus helping the SUV’s sticker price for the base SE variant to come down to Rs 33.88lakh, ex-Maharashtra, which is around Rs 2.5lakh cheaper than the CBU model. The top varaint, HSE now retails at Rs 38.15lakh, cheaper by around Rs 3lakh. The plant looks identical from the outside, with only the Mercedes badge being replaced by the Jaguar Land Rover’s, and has a capacity to assemble around 3,500 vehicles per year. Land Rover will use Tata Motors’ paint shop for the Freelander 2. It is learnt that Indian engineering and local parts sourcing is very much on the cards with JLR also contemplating the Indian location for complete manufacturing of its vehicles in the future. The company has also said that it is likely to set up an engine manufacturing plant in India, which will be a “carbon copy” of a new engine plant it is set to start building in the Midlands, UK in few months from now. The facility in India will manufacture engines of up to 2-litre. The India plant will come up only after the UK plant is up and running, and will be strategic as JLR is looking at starting assembly operations in China as well. Luxury SUVs are picking up speed in the Indian market, with Audi gaining a significant lead in it. With the latest step, Tata Motors will be able to position its Land Rover more competitively in India. JLR managed to sell 891 vehicles in India in FY 2010-11, which is a good 200% growth as compared to previous year. The company’s China sales also grew by 42% and now has India in its sight. Tata Motors has been very proactive as far as investments in the company are concerned and company sources reveal that every cent earned (as high as 1.5 billion pounds) will be ploughed back into product development. There is also talk of Tata sharing the Freelander platform for its own SUVs in the future.